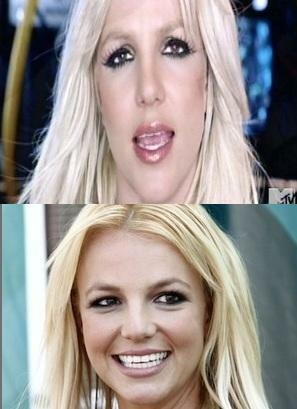 After watching the VH1 VIDEO COUNTDOWN this week I noticed an alarming trend. Four of the female divas in the top ten are a little overweight and three of them are using special optic effects to make them look slimmer. Britney Spears has gone to the extreme in her new video “CRIMINAL”, and at times I thought I was watching Taylor Swift! Katy Perry uses the same thinning effect in “THE ONE THAT GOT AWAY”, and Adele uses it on “SOMEONE LIKE YOU”. The only one who lets it all hang out (so to speak) is Kelly Clarkson in her video “Mr. KNOW-IT-ALL”. Personally, I like a woman with a little meat on her! I’ve seen candid paparazzi photos of them all, and I don’t think the reinforcement of a false body image does anything but perpetuate the myths about what beauty is. Why is there such a controversy over who is better, Taylor Swift or Adele? Here are two videos from each of them, which makes the winner OBVIOUSLY clear! Tags: ADELE, TAYLOR SWIFT, WHO'S BETTER ADELE OR TAYLOR SWIFT?